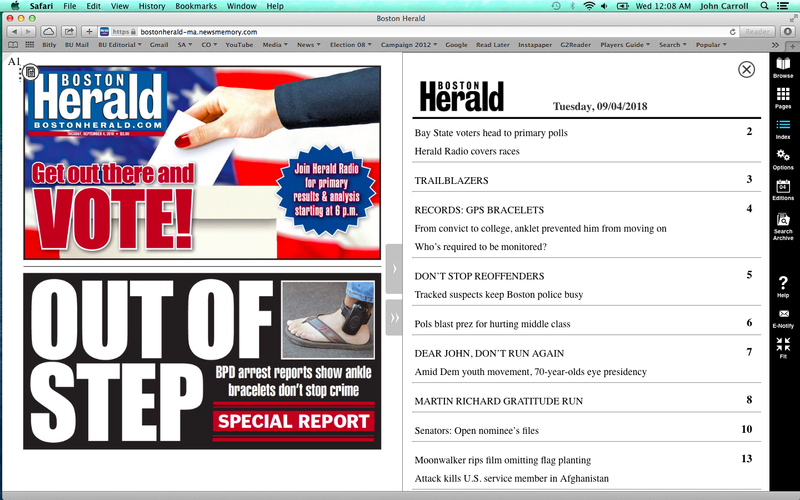 As the hardreading staff was leafing through our New! Costlier! 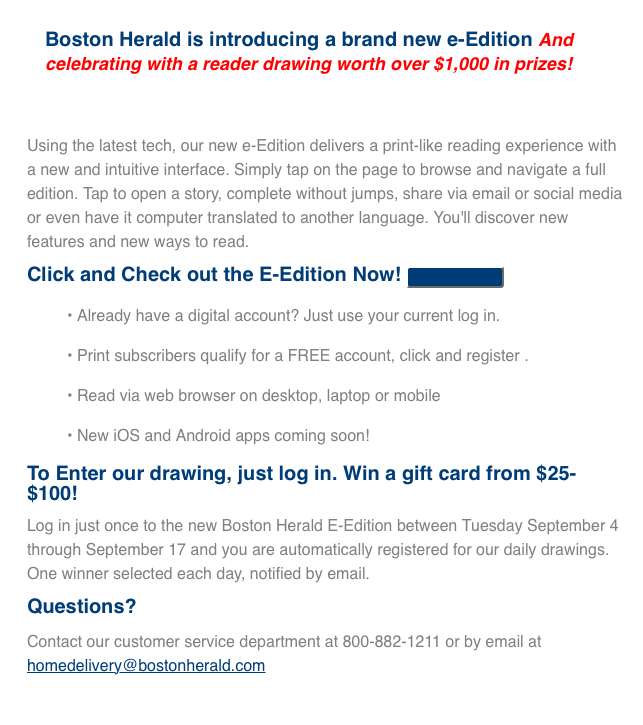 Boston Herald this morning, we came across this small house ad on page 9. 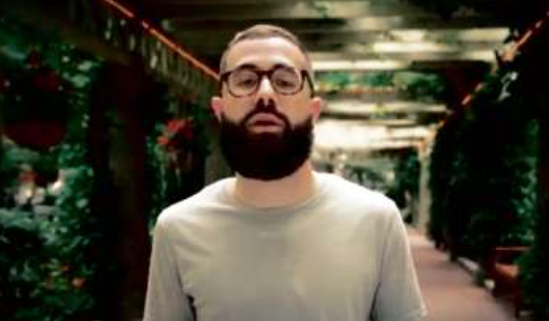 To be sure, we have, on occasion, been wary of trusting the pluggy local tabloid regarding such matters, so we decided to check out that Brand Keys outfit, and here’s what we found. 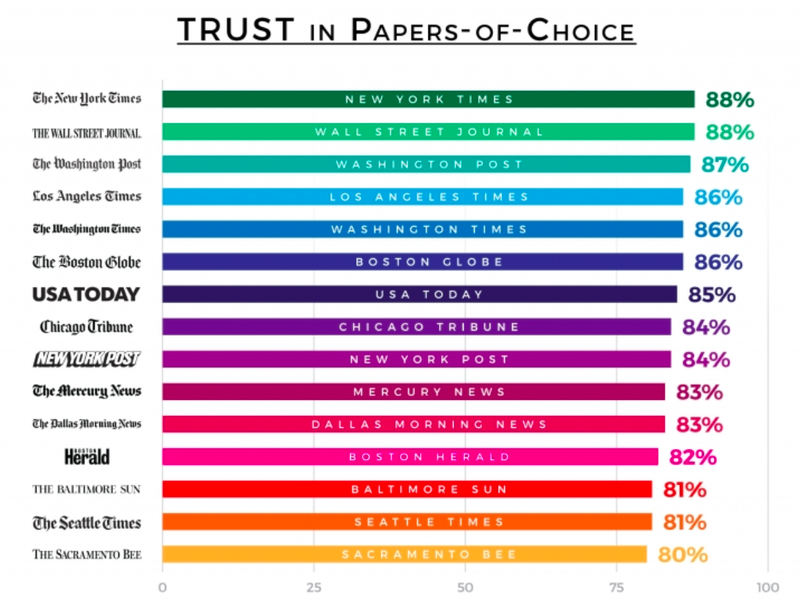 The study asked 3800 readers – either print subscribers or regular digital readers (3+ times a week) – to evaluate their newspapers. Given its perhaps unlikely presence on the list, you can understand the chants of “We’re Number Twelve!” echoing around Fargo Street. 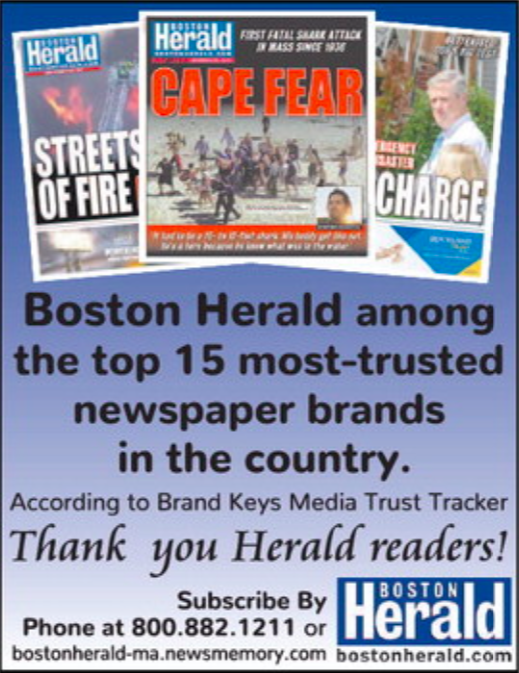 But when you think about it, 18% of regular Herald readers don’t trust the paper; of course, that’s also true of 14% of Boston Globe readers.